Are you imagining the robots in “I, Robot” crashing through the window and taking over your class, leaving you out in the cold? And get comfortable and cozy right where you are. Because nothing in the world can replace the most advanced technology of all: a teacher who genuinely cares for her students. C-3PO from “Star Wars” may be fluent in over six million forms of communication, but that doesn’t mean he’s qualified to teach your students a language. So when we talk about technology in language teaching, we should really be talking about how technology can help you become a more effective and awesome educator. Harness it well, and technology can be your partner in the language classroom. But not all tech is created equal. To see what this means, let’s begin by looking into three common myths about using technology as a language teacher you can banish right now. You’ll probably feel much better about the idea of using technology in your classes once we get them out of the way. There’s this false idea that technology is a panacea to all the ills of the classroom. This is simply not true. Technology can definitely help, but it can also be so many other things. It can be a hindrance or create a new problem. If half the time you spent teaching the lesson now ends up being used to instruct confused students on how to use some fancy app or gadget, then that tech has become a nuisance. If a technology works so well that it places focus on the wrong things, such that students are not listening to you anymore but gawking agape at fancy bells and whistles, then technology has become a distraction. Your use of technology should be intentional and purposeful. You don’t just throw everything at the wall and see what sticks. You need to put special effort into it. Later on, we’ll touch on some examples of how technology can live up to its ideal purpose of truly helping teachers in the classroom. 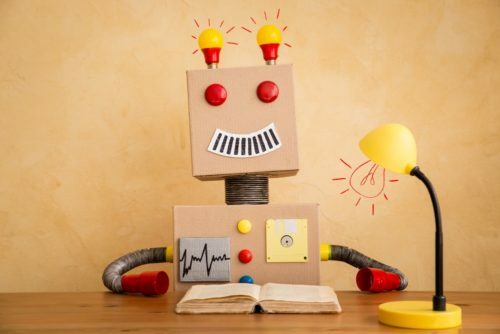 When educators come to admit tech into their line of work, they might sometimes be tempted to go for bleeding edge technologies that represent the state of the art. But the latest and greatest offering on the market is not necessarily always the best solution for you. Neither is the most expensive or the flashiest. Sometimes, tech that’s a few years old, even decades old—so long as it gets the job done, and does so elegantly—can be your best friend. For example, a simple Facebook page. There’s nothing new about it anymore, and you can’t really call it a “breakthrough.” But properly maintained, that unassuming page can serve as a virtual meeting place for your class, hosting discussions between you and your students! Sometimes old school can be better than any expensive rig. So rather than instinctively going after the latest permutations in tech, think of your goals. If they can be achieved without the use of anything fancy, then go for it! If a simple YouTube video is all it takes to explain a concept, then go for it! Don’t bring out the big guns when you don’t have to. Technology and simplicity is a killer combination. Adoption of technology is not automatic. App developers know this. Some apps will flop, others will fly. That’s why they strive to make their graphics awesome and their interface friendly. Your class isn’t one homogeneous blob with similar tastes. Everyone is unique and has unique needs. So don’t expect your students to instantly fall in love en masse with a newfangled technology. Just because you introduced something digital doesn’t mean it’ll be an instant hit. Sometimes you can do everything right, and still nobody takes an interest. That’s okay! Don’t give up altogether and say, “Nothing works on these people!” Move along and be open-minded about tech in the language classroom. You’ll see that you have a full range of technologies that you can explore in your class! In the next section, we’ll look at some times when technology can become an amazing partner in the teaching process. Ask your class a question in the middle of a discussion and the next thing you hear might be crickets. Nobody dares raise their hand, and you can’t even get decent eye contact! With technology, the scenario could be a lot different. Your students could be in individual cubicles in a language lab, each playing a game with starships and monsters where correctly answering a question lets them launch missiles at the beasts. Their scores could then be automatically stored and collated in a database, and top-scoring students’ names shown on a leaderboard. Technology can get students involved and engaged in a lesson. Drills and games on an iPad, for example, can be a brilliant and fun way to practice language skills. It’ll be a case of them having so much fun they don’t realize that they’re learning in the process. Plus, mistakes and booboos during a game carry less stigma because the activity happens on a computer, not in the front of the class. Students are as unique and wonderful as snowflakes and fingerprints. Technology can easily take these differences into account and provide lessons that are sensitive to their needs. With technology, you can vary pace, sequence and assessment according to each student. Spaced repetition apps, for example, know which specific vocabulary word an individual student is having difficulties with. They’ll know that your student Anna has difficulty with the Spanish word verde (green) because every time she’s tested on it, Anna gives the wrong answer. Jake, on the other hand, has no problem with verde. His problem word is azul (blue). The app will take these things into account and repeatedly quiz Anna on verde and Jake on azul, ensuring that they get extra repetitions in the areas that bring most benefit. What you then have are lessons tailor-made to the individual students. Tech is cool that way! There’s nothing wrong with that. But consider this alternative: interactive stories! Instead of students listening to the stories, they live them. They become the characters themselves and immerse in the adventure, meeting new people and learning the language along the way. Your students actually get a first person view of the whole thing! How’s that for language learning content? When you’re given such an opportunity, grab it by the tail and never let go! You hear a hubbub about some popular vocab app in your French language class. Students are using it as a complement to your lessons and telling classmates about it. Instead of shushing the class, why don’t you ask and learn more about it? And if you judge the material useful, why not officially adopt the app into your class? Reference it in your discussions. Use the exercises that are already in the app as homework. This solves the problem of adoption because students are already using tech on their own. Instead of looking for the tech yourself, let your students, who may be more adept with the latest trends, be your guide. Keeping all of the above in mind, in this next section, we’ll look at six great tools to consider for use in your class. Want to give your students a language workout even when they’re out of class? 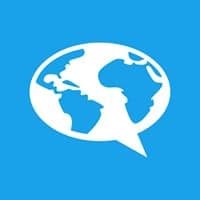 Memrise might just be one of the best spaced repetition apps to learn vocabulary out there. The technology ensures that words presented by the app are the very ones your students need to review. With Memrise, students will be asked to do a variety of tasks that make them work with the vocabulary. They’ll be asked to spell, speak, type and translate from their native language to the target language, and vice versa. This kind of repetition helps with recall but isn’t tedious. The app’s algorithm takes note of a student’s performance, determining specific words that require more repetition. As a teacher, you might have a specific list of words you want your class to know. You can add the words to the program by going to the Memrise website. Click on “Courses,” which is on top of their homepage. You’ll then be brought to a page with a “Create A Course” button. Click on it and you’ll be taken though a series of steps which will allow you to add your own word list that your class can access even when they’re at home. 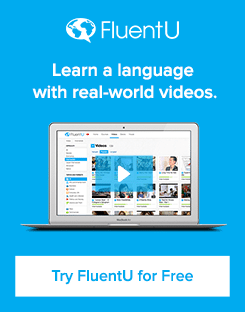 FluentU is home to the most effective language learning videos online. With it, your students get to immerse in real-world video clips like movie trailers, vlogs and music videos. Our interactive transcription technology ensures that your students get the most from every clip you show them. How so? Try hovering over the lines or tapping any word. You’ll notice that each word in the transcription is a portal to a deep dive into that very word. You’ll get translation, meaning, pronunciation, images, usage examples and more! FluentU can easily be used for exercises, demonstrations, discussions and all kinds of activities in your class. For example, let’s say you want to teach vocabulary around a particular subject. You can find a video on practically anything (from politics, to food, to fine art) by searching and sorting by language level to see that it’s appropriate for your class. You can then watch the video and learn as a group. Maybe the first few times you let the clip play through. After that, you can lead the class in a line-by-line study of the words. You can go as fast or slow and as deep as you want. There will be plenty of “teachable moments” along the way. You’ll find that the clips make the language come alive, providing the necessary context that helps students understand the target language better. FluentU can be used for your students to study with outside of class, and you can also bring in your own word list and create your own flashcard sets. 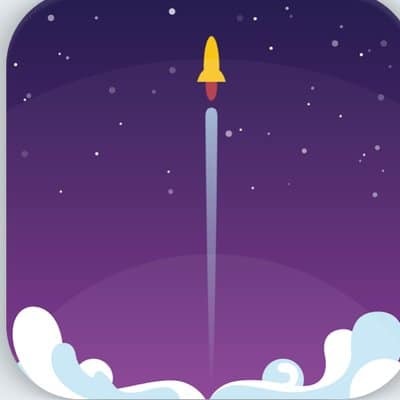 However, in addition, FluentU will pull content for you from videos across the program so students can learn vocabulary in context with clips from commercials, movie trailers, vlogs, cartoons and other authentic content—along with example content and quizzes that are personalized to each student’s unique needs. You can use the “Assignments” feature to assign content to students as homework, as well as track each individual student’s progress through the program as they make their way through content quizzes. The concept of FluentU is simple, but it’s loaded with possibilities. It’s designed to be intuitive, customizable and to make life easier and more enjoyable for teachers and students alike. Sign up for a Teacher account with a free 15-day trial today, or download the app from the iTunes store or the Google Play store. Language Nut was created by former teachers for teachers. You can utilize this software in class and go through it as a group, but you can also use it for individual activities. The program hits on all four language skills: listening, speaking, reading and writing. Your students will engage in the target language through songs, stories and games. For example, they’ll be asked to pair words and their corresponding images through a game of tic-tac-toe. Everything happens in a friendly user interface with cool graphics that students will love. Language Nut is also useful for teachers because it tracks student activity. Students can access the site or the app even outside the classroom. If they listen to stories or songs, or if they play some of the games, the software will automatically send you their scores, essentially informing you of how your individual students are doing on certain parts of the course. This feedback helps you with class discussions because you now know exactly what to teach. A school needs to set up only one account because Language Nut can support multiple classes, multiple teachers and multiple languages. 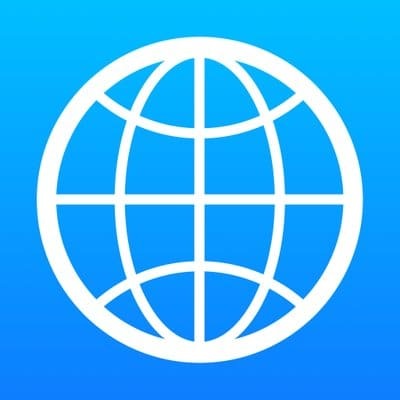 iTranslate Converse is an instant translator app that allows users to speak in one language (for example, English) and hear its translation in the target language. You just speak into the phone’s mic, and in a few seconds, out comes the translated version of that audio input. Apps like this one are often used by travelers who don’t have much time to learn a language. So, for example, a traveler finds himself in the middle of a park in Madrid and wants to know where the nearest bathroom is. He simply speaks into the phone, and holds it up for a native speaker to hear the translation, who then helps him in Spanish, which the app then translates into English. Neat, huh? You might wonder why you would need this sort of technology in a language class, but the answer is simple: Because it’s fun! You bet you can use this during your class discussions. Instead of directly giving out a translation for “Where is the bathroom?” in Spanish, you can increase students’ anticipation and engagement by speaking into the app and letting them hear “¿Dónde está el baño?” right from your phone. This adds an extra layer of fun, because you can walk around the class, carrying your phone (which teachers never used to do!) and asking students to speak into the mic and hear the translations. 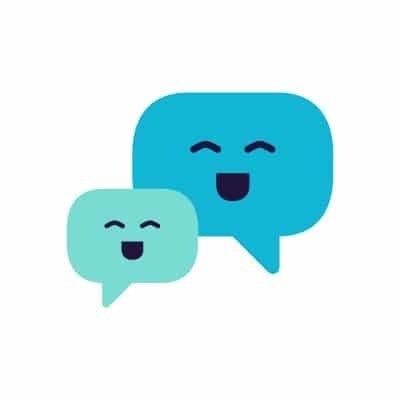 You can even ask students to guess what the app will say when they call out certain phrases, like “Please!” Or you can turn your back, whisper into your phone, let the class hear the translation and quiz them on what you said. A SMART board is not your grandparents’ blackboard. It’s a white board with touch detection technology. A projector displays what’s displayed on a computer screen. But instead of you running back and forth, working on the laptop to change or manipulate what’s projected on the screen, you can use the SMART board itself and work directly from there. The whole board is a touch screen. But the power of the SMART board is really when you ask students to interact with the technology. You can ask them to come to the front of the class and work on the board. You can ask them, for example, to pair images with their proper texts, or pick from a set of available options. You can ask students to write on the board, as the whole class looks on. 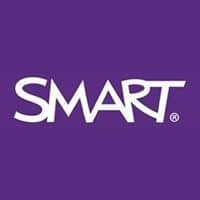 You can create language games by using the SMART board activities templates that are available online. For example, classics like Jeopardy or Hangman. Just set up the game by inputting your word list or questions and you’re good to go! You can then ask students to walk (or run) to the board and magically press on buttons. This’ll be especially perfect for young learners, who have so much energy to burn. A SMART board will help your class quickly become language smart. But if you yourself need some help with the tech or if you need inspiration for activities, there’s a whole community of teachers who’ve got your back. It’s all good! BBC Languages is a website that supports lessons in major languages including French, Spanish, Italian and German. The site houses a variety of content, from grammar drills and vocabulary exercises, to video tutorials and interactive dramas (remember how we mentioned those earlier?) to help your students firm up on the target language. Now about those interactive dramas: Again, BBC Languages has a lot of materials for a variety of languages, but two of the most exciting offerings are the dramas “Mi Vida Loca” (Spanish) and “La Mappa Misteriosa” (Italian). “Mi Vida Loca” is the story of a woman who was invited by a friend for a holiday in Madrid. Unfortunately, that friend unceremoniously pulled out at the last minute, leaving only a letter for explanation. So the woman, alone, has to somehow fend for herself during her stay in Madrid. You can just imagine the experiences she’ll go through, and because the story is shot by video from a first person perspective, your students will be immersed in this experience themselves! There’s a teacher guide that takes you behind the scenes and explains how learning is consolidated in the series. They also give some suggestions on how to use the videos in a class setting, like by employing a SMART board! You can use this and many other materials on the BBC website for independent or group work. “Mi Vida Loca” is just one example. The site offers interviews with transcripts, newscasts with subtitles and news read slowly for the language learner. It also offers plenty of other language-specific resources for teachers to make use of with their classes, like these French interactive videos and worksheets. I hope that you do make use of the technology resources presented here, as well as the many others that are available for teachers today. Technology, when used properly, will do wonders for your effectiveness as an educator. It’ll not only make your job easier, it’ll also make learning simpler, more fun and more intuitive for your students. So have at it! Make technology work for you!